Over 30 years of experience offering our clients a unique perspective of our stunning coastline that links Tossa and Giverola. The Fondo Crystal company was born in 1985 as a family business, founded by two men, born and bred in Tossa, with a great passion for the sea. Over 30 years of experience offering our clients an excellent quality product and service that over time has turned into a highly recommended activity and an adventure not to be missed by all who visit our beautiful village. We have two glass bottom boats run by a young, lively crew, carefully recruited to enhance your experience. The route between Tossa de Mar and Cala Giverola is home to no end of natural beauty including caves and coves as well as rock formations fringed by a variety of beautiful flowers and wildlife that characterise the Costa Brava. All this without forgetting about the ever-fascinating wonders that lie under the sea. 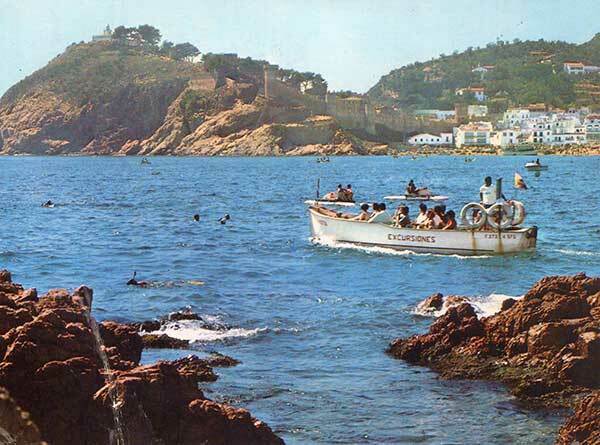 The Costa Brava is the Girona coast that begins in Blanes and ends at the border with France; It is more than 200 km long. It includes the coast of three regions: La Selva, Baix Empordà and Alt Empordà. A lovely way to spend an hour - on a small boat exploring all the caves along the attractive coastline and seeing the fish through the glass bottom boat. The length of the trip is perfect. This was a very enjoyable boat trip - went into loads of caves and saw lots of fish & sealife which was very interesting. We fed the fish too! Trip was smooth, no issues and we got off at Giverola Resort where we spent a few hours sunbathing and having a delicious lunch. Boats run regularly so flexible to come back anytime. A must if you're in Tossa.